If someone want help me, I can make the .dat file. Wow - gives me a woody! Edited 1 time(s). Last edit at 02/08/2019 08:47PM by landex. 'Can it be that I made a mistake? The start and finish line should be before the big curve on the runway. The start finish line was relocated to just before the long back stretch in the early 90's. Your layout is the original version of the track. (Probably more appropriate with upcoming 70's F1 mods). Big thanks, Luke! That means my version(gp3) is the original version. I saw a video on youtube of F1 1978 - Mario Andretti - Onboard, and the pits are the new version. Thanks Eric! Now we know! 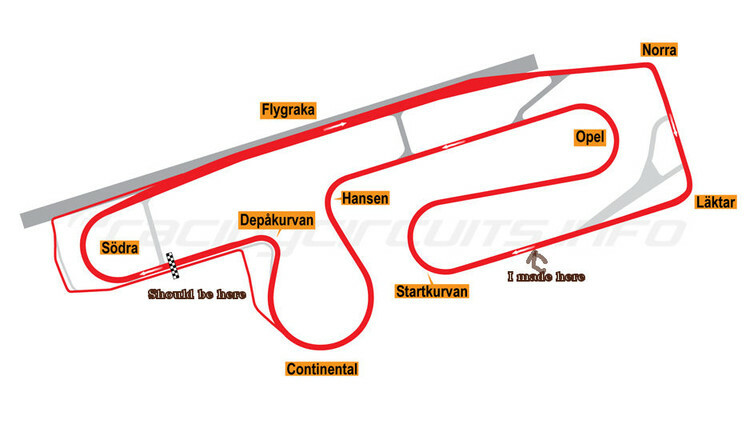 "Anderstorp ist die einzige GP Rennstrecke der Welt wo Start / Ziel nicht vor die Boxen erfolgen, sondern 1/2 Rund später"
"Anderstorp is the only GP race circuit in the world where start / finish line is not in front of the pits, but 1/2 lap later"
Thats mean the gp3 version was right. 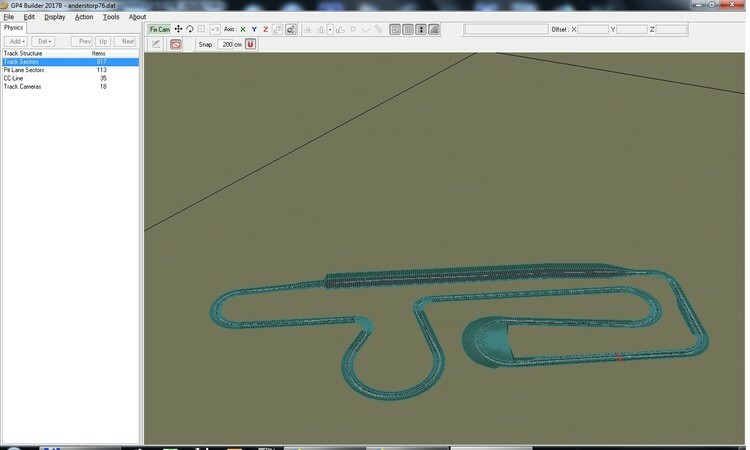 Is it impossible to simulate it on gp4. I don't want to be nitpicking, but Anderstorp is not "the only one GP race circuit in the world where start / finish line is not in front of the pits, but 1/2 lap later". there was also Long Beach at the approx. same time: the pitlane was located at Ocean Bd while the start was done on Shoreline Drive (where the pitlane is now relocated). I seem to remember they did the same thing at Montréal at the same time. By the way, for my curiosity: is there any F1 game who simulates this? > Montréal at the same time. Ha ha I just have a good memory and an eye for details, I believe. 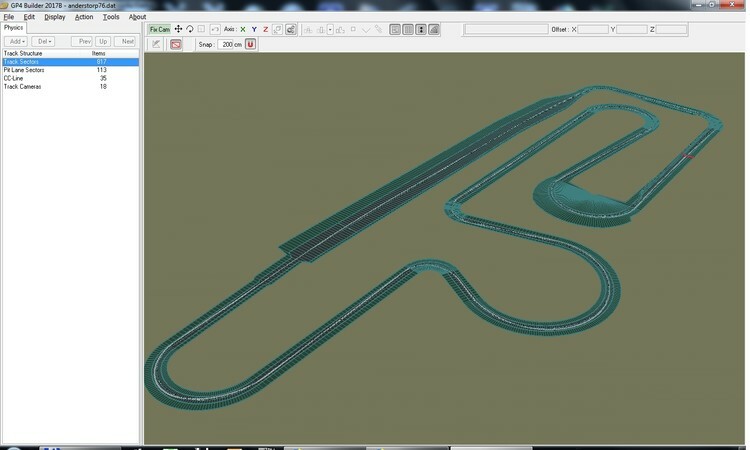 @landex, at least rFactor (1 & 2) can simulate this and probably any NexGen sims so far they allow modding. Not specifically F1 but you got a bunch of F1 mods and tracks out there. Edited 2 time(s). Last edit at 02/11/2019 06:02PM by landex.